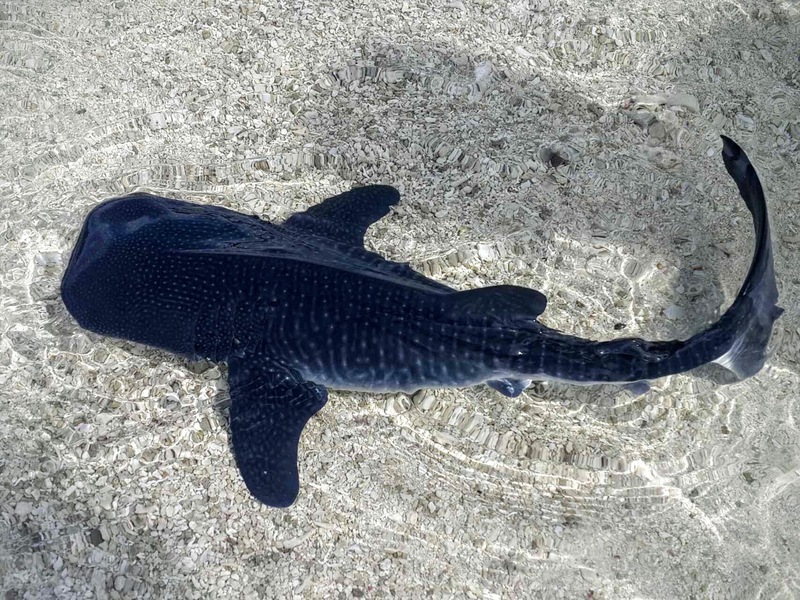 As the annual whale shark festival is less than a week away a baby whale shark of one and half foot was found in the open seas of Alifu Atoll last Sunday – the atoll designated to hold the festival. According to the Maldives Whale Shark Research Programme, until yesterdays sighting the youngest whale shark seen in local waters was 11.5-feet-long. It is speculated that this whale shark was born in Maldives waters, reinforcing the possibility of whale sharks breeding in the Maldives. 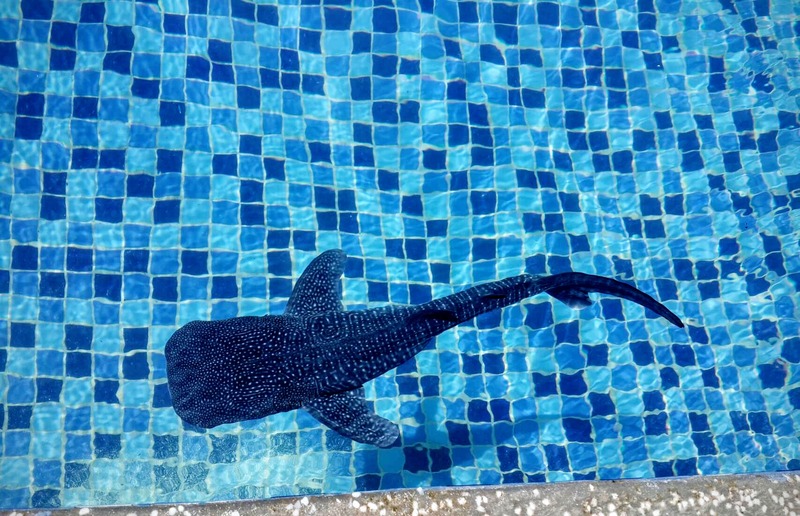 Four employees from the Gangehi Island Resort in the atoll had spotted the whale shark 500 feet off the coast of the Resort. They captured the whale shark, put it in the tank of the dinghy they were travelling in and later into a Styrofoam box. After taking it to the resort the whale shark was kept inside a salt-water pool for tourists to view, and had released it an hour later. Whale shark sightings are commonplace throughout the year in the Maldives and serve as a considerable tourist attraction. Hanifaru Bay in Baa and most of Alifu Dhaalu (Southern Ari Atoll) atoll are famed for whale shark sightings. 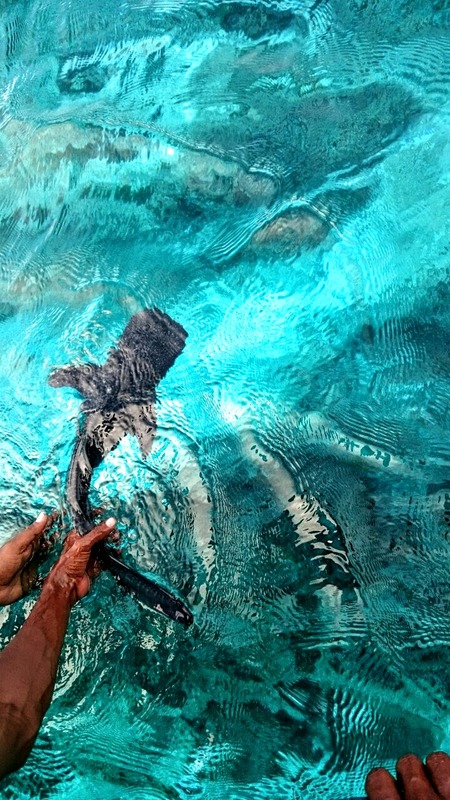 Whale sharks sightings are seasonal in Baa atoll but are commonplace, throughout the year in Alifu Dhaalu atoll. Whale sharks are a protected species.